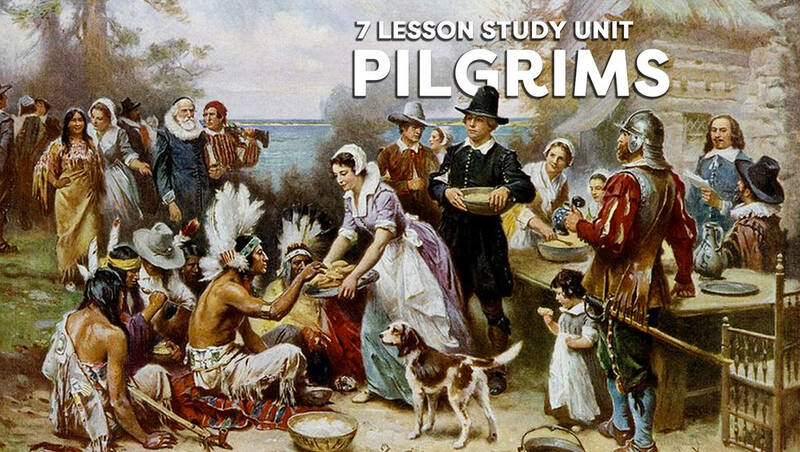 Use this chart to plan the Pilgrim Study Unit (objectives and materials) of six lessons. Students will learn all about the settlement of Plymouth and nearby areas, the Colonial Times, the context and history of Thanksgiving, and more. This unit will lead students towards an understanding of the Pilgrims and native people who inhabited the area of present-day Plymouth, Massachusetts in the 1620's. The main texts are children's books and other reference materials. Students will be able to identify the difficult and the pleasant aspects of the voyage of the Mayflower. Students will be able to differentiate between the terms "Saints" and "Strangers." Students will be able to identify the principal physical features the Pilgrims considered when choosing the location of Plymouth. Students will be able to describe the first winter that the Pilgrims spent in Plymouth. Students will be able to retell the first meeting of the native people and the Pilgrims. Students will be able to explain the history of Thanksgiving. Students will be able to write a timeline showing significant events in the Plymouth Colony that occurred between 1621 and 1628. Students will be able to describe a day in the life of a Pilgrim boy or girl in 1627.